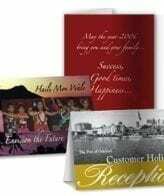 Full color 5×7 UV coated one side greeting cards or invitations. Minimum order 200. 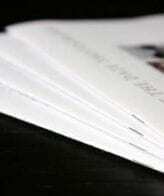 Size: 5×7″ closed and 10×7″ open. Cards are scored and supplied flat. 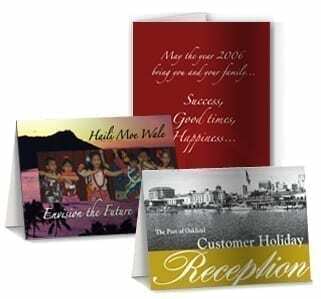 Design: Basic design is simple background, basic image or clipart and type setting. Full design is 100% custom.